Implementing Diversity from Theory to Practice. 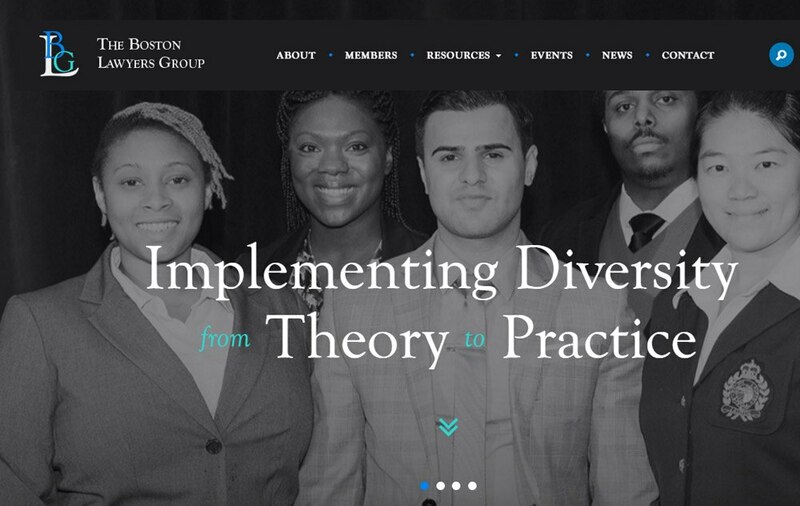 The mission of the Boston Lawyers Group is to support the effort of its member organizations to identify, recruit, advance and retain attorneys of color. 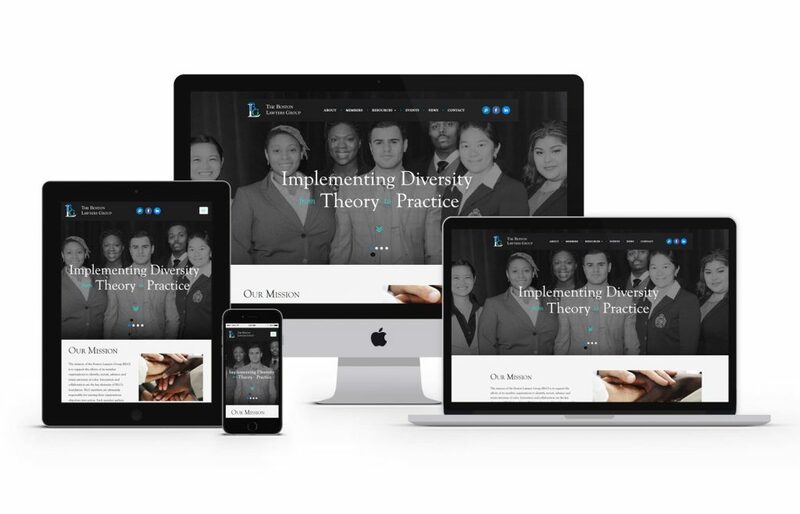 GoingClear Interactive was responsible for the re-branding, web strategy, UX (user experience), discovery, web design, web development, quality assurance and testing of the new Boston Lawyers Group website. For this project we placed a lot of attention on redoing the sitemap to condense information and make sure every page has meaningful content. For design, we freshened up the logo and made sure to carry out the primary blue and green throughout. Regarding development and execution, we're really pleased with the finished Members page, which features each Members's logo, a link to their site and the client can update this all from the backend very easily. Another great section on the website is the Events Calendar. Users can choose to explore BLG events by using either the calendar or list modes, and they can even search for events past and present! 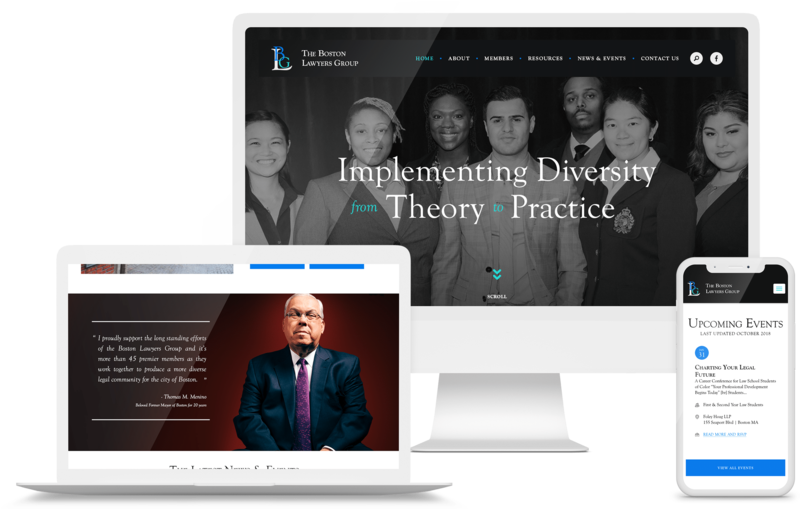 The new Boston Lawyers Group website was built using WordPress as the CMS (Content Management System) along with a fully mobile and tablet friendly design leveraging Twitter Bootstrap for the responsive framework so visitors are certain to have a flawless experience on any of their devices.